Just regular folks. : Pizza box fridge. 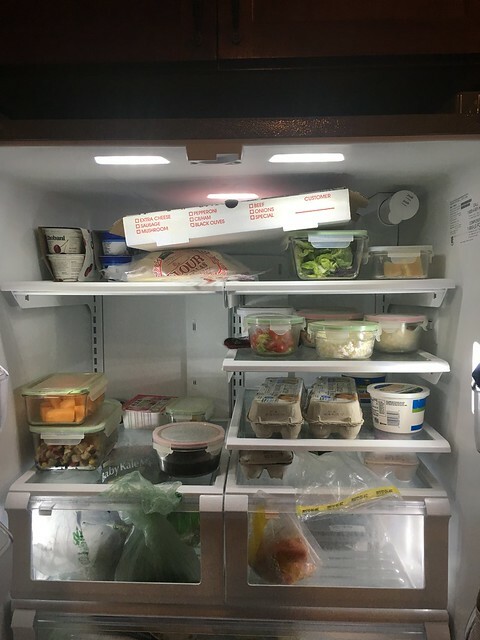 Our new fridge can fit an entire large pizza box in it - no problem. So if you want some leftover pizza in the morning, c'mon over, we are ready for you. I mean, before we owned this fridge, we'd leave it out on the counter overnight and it was 50/50 whether Max would get to it before you could. Now we are 100% sure (or maybe 99%) sure it will end up in my tummy and not the doggie's tummy. Bond, Ionic Bond. Taken not shared. And the week goes on. Game of life, stitches, physics. IEP, I'm from Baltimore, Vince is sick.